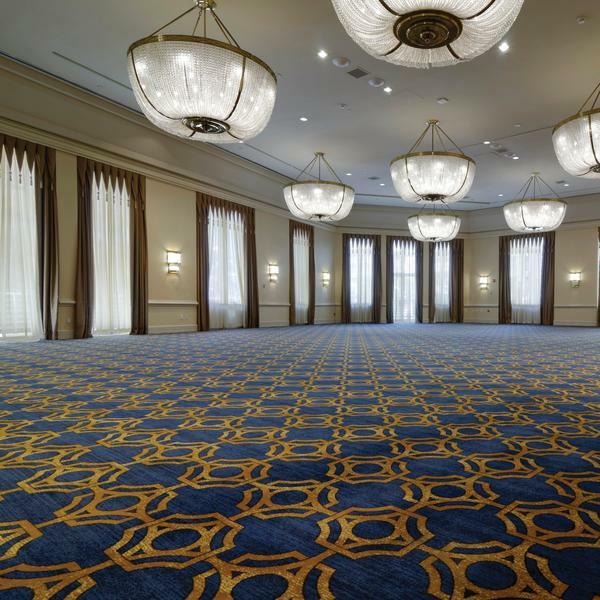 The Brintons Dallas team worked closely with Colletta Conner of Montgomery Roth to create design work for the lobby, ballrooms, pre-function and meeting spaces at the Sheraton New Orleans. Focusing on the existing historical interior of the hotel and the French Quarter of New Orleans itself we were able to pull ideas from the DSO which best illustrated the clients mood board and sketches. 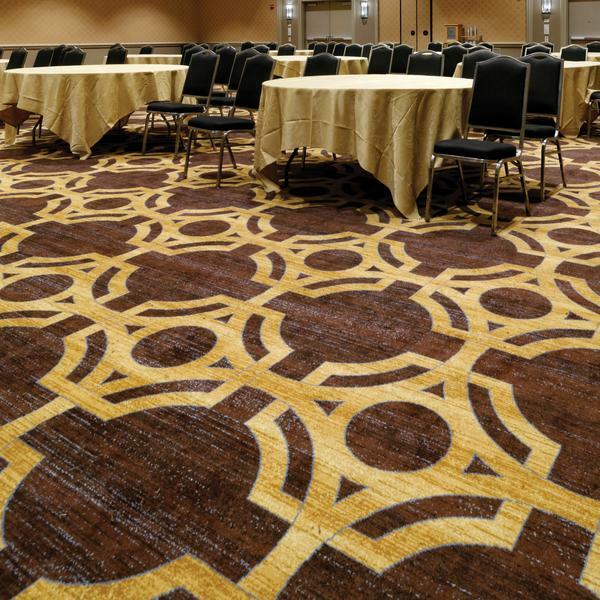 These patterns were further developed in color and scale to harmonize with the Sheraton Brand and re-energize the public spaces while staying true to the classic style that Canal Street architecture is so famous for. 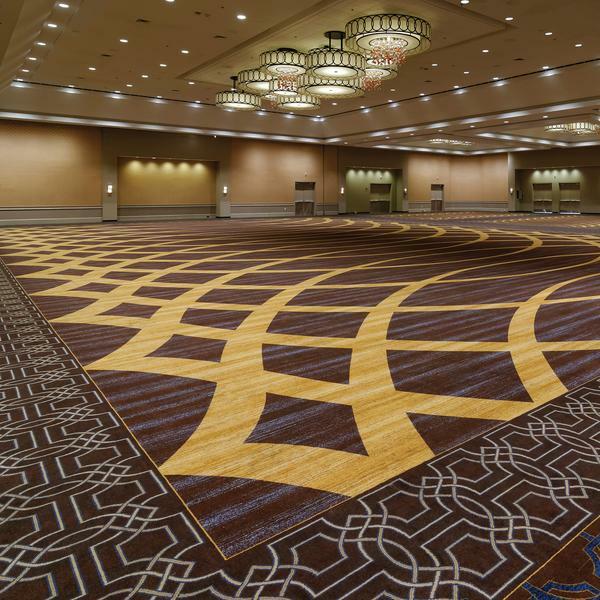 The vision for the Sheraton New Orleans public space carpet was to bring life to very tired building. They wanted to preserve the sense of history that belongs to the property, as well as impart that sense of history to the guests of the hotel. Brintons' designers translated my napkin sketches into dynamic and dramatic patterns; altering the scale of iconic shapes and infusing them with color and texture. 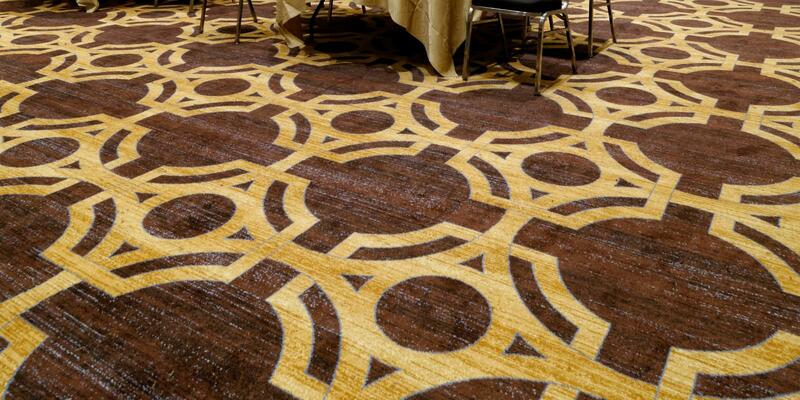 The end result is a collection of patterns that effectively tie historic elements to a transitional updated aesthetic!